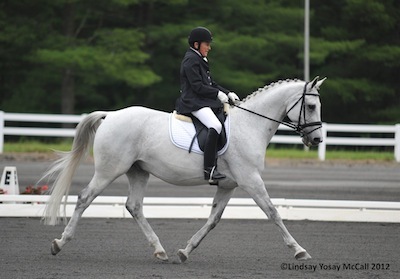 Gladstone, NJ - The weather report for Tuesday, June 12, 2012 predicted 80% chance of rain at the United States Equestrian Team Foundation headquarters. 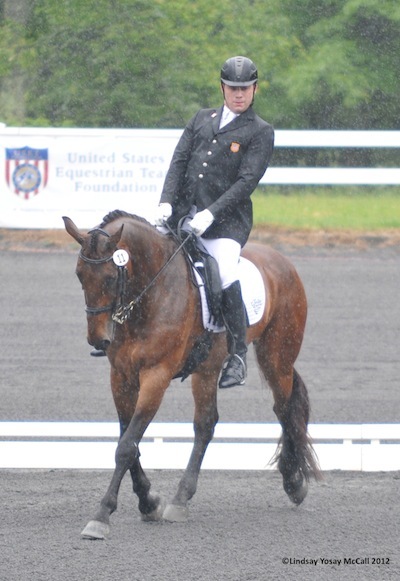 Within an hour of competition at the United States Equestrian Federation (USEF) Paralympic Selection Trials/Para-Equestrian Dressage National Championships, rain began to crash upon the trees. Rider's did not waiver from the schedule and welcomed the rain as a variable to take advantage of. As the second day concluded Rebecca Hart (Unionville, PA) inched ahead of Donna Ponessa (New Windsor, NY), and 2011 National Champion Jonathan Wentz (Richardson, TX). 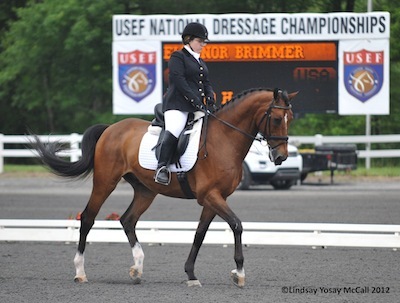 With only the Freestyle competition left to secure four spots on the United States Paralympic Team headed to London, riders hope to continue earning supreme scores. Currently Rebecca Hart, Donna Ponessa, Jonathan Wentz, and Dale Dedrick (Ann Arbor, MI) have remained in the top four of the standings. Rebecca Hart, 26, and Lord Ludger excelled in the Grade II Team Test earning a 73.968% aboard the Holsteiner gelding. Hart showcased her test when the rain became a downpour but Hart remained determined and relaxed. "I owe my grippy gloves to sticky spray," chuckled Hart. "The reins get quite slippery in a rain like this and with two whips, and two reins it gets difficult to hold onto everything if it's wet. However, the rain was not a factor on how LoLu performed." 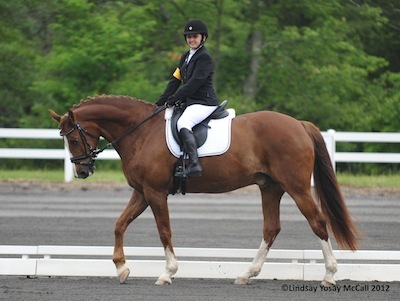 Having all types of situations occur within an atmosphere like the Selection Trials gives the riders experiences they can grow from before heading to a large show like the Paralympics." Under Blue Hill Farm's instruction with Missy and Jessica Ransehousen, Hart has achieved four National Champions, represented the U.S. at the 2008 Paralympics and 2010 Alltech FEI World Equestrian Games, and she has traveled the world including a trip to Australia for international Para-Equestrian competition. Riding continues to help Rebecca strengthen and condition her body against a rare genetic disease called Familial Spastic Paraplegia. "Riding makes a huge difference with my disability," Hart explained. "Doctors call me an "upside down paraplegic" because based on my scans they cannot see how I could even walk, let alone ride. However my physical therapy, training with a personal trainer, and constantly riding helps to strengthen and condition my muscles." 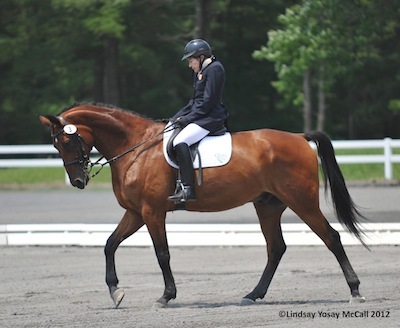 Donna Ponessa added, "I am way ahead of the curve with my disease progression like Rebecca and Doctors say it is because of riding and my determination." 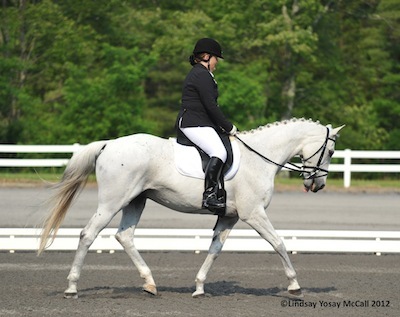 Ponessa has gone from a wide-eyed brand new Para-Equestrian in March 2011 to one of the top Para-Equestrians in the United States. Alongside FEI rider and trainer Wes Dunham, Ponessa has climbed the ranks to achieve supreme scores in the Grade Ia division. 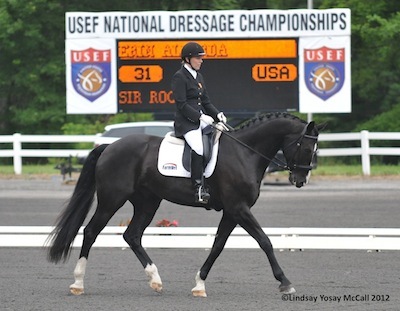 On the first day of competition at the USET Headquarters Ponessa went one-two with Western Rose, owned by Wes Dunham. Western Rose was followed by PG Ganda, on loan from Vinceremos Thereaputic Riding Center. On the second day of competition the ex-Canadian show jumper, PG Ganda and Ponessa secured a 73% to take home the first place followed by Western Rose. In Grade II, Jonathan Wentz ,21, replicated Ponessa on day one securing a one-two placing with Silvano, owned by Dr. Michele Miles in one and NTEC Richter Scale in second. During the individual competition NTEC Richter Scale, owned by Kai Handt, earned the win with a 72.899% followed by the ex-World Cup jumper, Silvano. To be competing at the 2012 Paralympic Selection Trials is a goal Jonathan Wentz decided to capture from 13 years of age. After growing out of the therapeutic riding programs Wentz found Kai Handt and North Texas Equestrian Center. 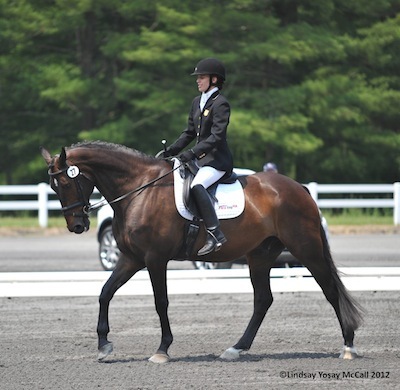 Handt and his wife run a successful Dressage barn in Wylie, TX and compete on the FEI level around the world. Handt enjoyed challenging Wentz each week when they began working together and he never went easy on 6'3" young rider. Wentz has emulated Handt's desire strive for the best results and not accept an average performance. Daled Dedrick has accompanied Wentz as a US Team Member as they campaigned over the 2011 year. 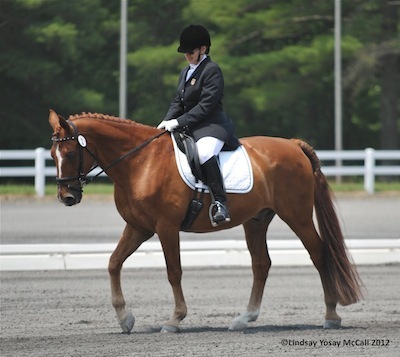 Dedrick's mount Bonifatius has been essential to the United States Para-Equestrian Team. 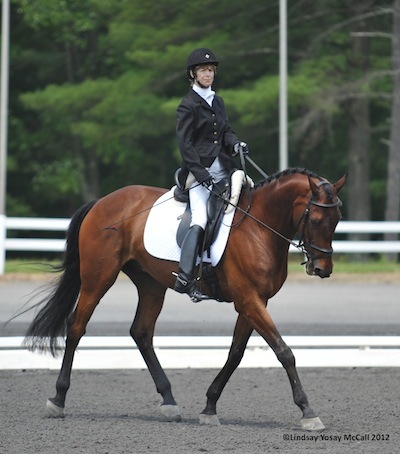 Dedrick has been a lifelong horsewoman and was even part of the 1986 U.S. Olympic Festival Team. 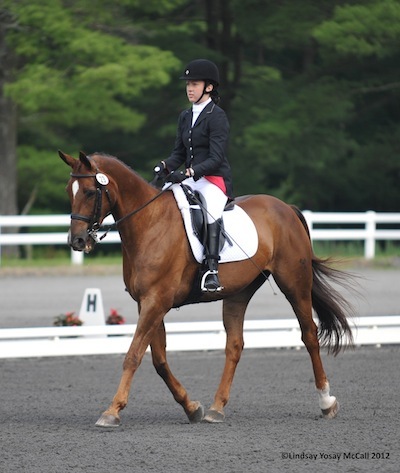 Dedrick joined the Para-Equestrian competition in June 2011 as a Grade II rider and hit the ground running earning the 2011 USEF Para-Equestrian Dressage Reserve National Championship. 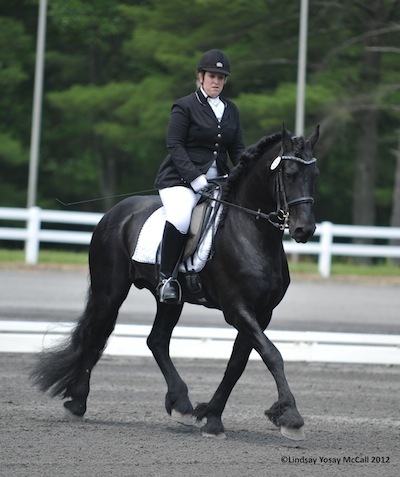 Dedrick trains her grey 14-year-old Hanoverian gelding in Michigan with Rosalind Kinstler "Roz". Dedrick is currently ranked fourth among her competitors and has a very good chance she may earn a spot on the 2012 Paralympic Team. In Grade III, Wendy Fryke of Parker, CO and Lateran achieved top scores during Tuesday's competition. The 2010 World Equestrian Games member continues to excel in front of the international judges. 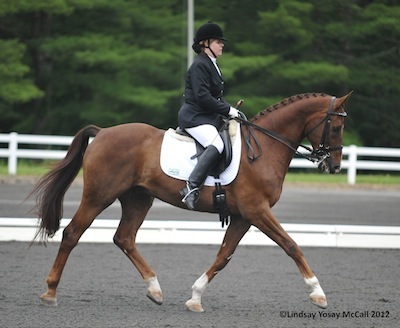 Fellow 2010 World Equestrian Games teammate Mary Jordan of Wells, ME and Deecie Denison's gelding, Sebastian, earned the top placing in Grade IV. Jordan went one-two riding her mare P. Sparrow Socks to a second place finish. 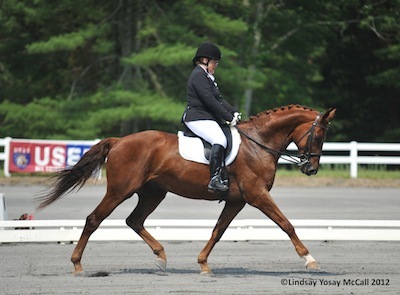 The 2012 Paralympic Selection Trials and 2012 USEF Para-Equestrian Dressage National Championships finalize competition on Wednesday with the exciting Freestyle Tests. Each horse and rider combination will complete their Grade's technical requirements using a previous selected piece of music. The Freestyle Test is the last 20% of each rider's overall score and will be evaluated by FEI Ground Jury members, Carlos Lopes (5*) POR, Anne Prain (5*) FRA, and Marc Urban (5*) BEL. 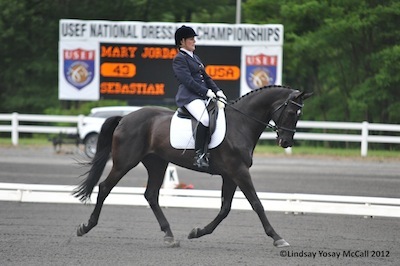 An awards ceremony will follow Wednesday's competition at the USET Headquarters in Gladstone, NJ.